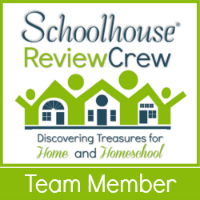 Our family has reviewed a lot of core curriculum as well as supplemental resources related to homeschooling. One of our favorite resources are great audiodramas. We recently had the pleasure to receive and use In Freedom’s Cause Single Package from Heirloom Audio Productions. The single package edition includes a physical 2-disc CD set with the audiodrama, a digital download of a the accompanying study guide, an MP3 download of the production’s soundtrack, and a printable download of The Prayer of William Wallace. The main audiodrama in this package contains over 2 hours of listening pleasure and education. 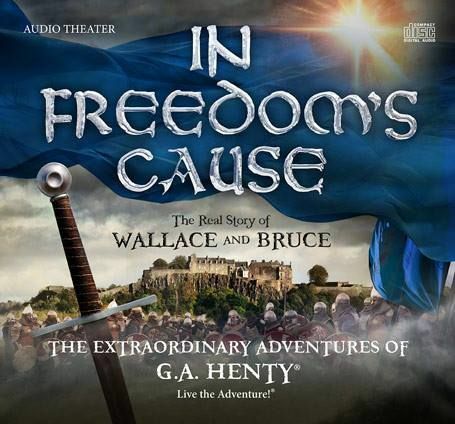 In Freedom’s Cause is an audiodrama rendition of G.A. Henty’s work by the same name. It is not only the retelling of these historical times and work of literature, but combined with a full soundtrack and characters that truly come alive give meaning to the theatre aspect of audiodrama. This is the telling of the battle for Scotland’s freedom during the time of William Wallace and Robert the Bruce. For the non-history buff, you will want to be warned that learning is contagious when embedded in such creativity and sense of adventure. In having already reviewed Under Drake’s Flag, another Heirloom Audio Production release, I can honestly say that this CD set went directly from the mailbox to our CD player. It then traveled to the car and eventually was loaded onto our 10 year old’s MP3 player along with the downloadable soundtrack. Yes, it is like an oreo. One is just not enough. In this case, listening just once didn’t seem like a possibility. When we realized we would be on the team of reviewers for this product, I didn’t really have anything planned in history related to this period of time. We have been struggling to keep on schedule and I didn’t feel like I could mix things up. So, my intention was that we would just listen to it, enjoy it, and then take it back out for educational purposes when we got back around to that point in our history studies. What I found was that the result of listening to In Freedom’s Cause just once really got the ball rolling on interest driven learning ~ that really cool kind of learning that takes on a life of its own. Were Wallace and Bruce real people? Did they really receive their inspiration in battle from their Christian faith? What in the world is a goat woo? How do you make a celtic knot and what does it look like? Were the battles and warfare tactics really like we imagined them in listening? In addition to these questions, our children became interested in interrogating their father who has a strong Anglo-Saxon ancestry. What did Daddy know about his family roots? We took time checking things out on maps both today and maps from that time in history. It lead to further study of the major empires of the world. The kids enthusiasm spilled over into taking some time from our busy schedule and discussing a few of the delving questions we found in the study guide that can be downloaded to go with the audiodrama. The study guide has general listening comprehension questions, vocabulary study, and also some questions that make for great reflection, critical thinking, research, or just family discussion around the dinner table. This guide can provide the springboard for turning this audiodrama into its own unit study when partnered with the adventurous spirit that naturally grows from listening. I can’t imagine that my fellow reviewers would not find themselves thoroughly overjoyed with In Freedom’s Cause, but I do encourage you to read their reviews. There are some pretty creative folks on the Crew who I am sure took their learning in different directions than we did. If we had not received In Freedom’s Cause for this review, I would have been more than thrilled to purchase a copy for our family. It is simply a very high quality recording that is both entertaining and educational. A huge thumbs up from our crowd!